Recent media coverage about Borrelia miyamotoi has prompted some questions about prevalence of the bacteria in the UK and risk to human health. In this Q&A, PHE scientists answer questions about the bacteria which has been dubbed responsible for the ‘new lyme disease’. Borrelia miyamotoi has been identified as an emerging tick-borne pathogen in other countries, first implicated as the cause of disease in humans in 2011 in Russia and since then in the US, Europe (Netherlands) and Japan. Although some media headlines have linked Borrelia miyamotoi to Lyme disease, this bacteria actually belongs to the relapsing-fever (an infectious bacterial disease marked by a recurrent fever) group of species in the spirochete genus of Borrelia. That means it is related to, but distinct from the type of Borrelia bacteria which cause Lyme disease. The bacteria was first detected in ticks in 1995 in a species of tick called Ixodes persulcatus from Japan, then later in other Ixodid species in North America, Europe and Asia. Currently, the geographic distribution of infection in ticks appears to be much broader than the countries where human infection has been reported. Has Public Health England published new figures about Borrelia miyamotoi? This first appeared online in July 2014, and then published in the physical edition of the journal in April this year. This research was discussed at the Public Health England conference that took place in September 2014. Borrelia miyamotoi was first detected in Japan in 1995, and was not recognised as a risk for human transmission until 2011. We haven’t detected human disease in the UK. The most commonly reported clinical presentation of Borrelia miyamotoi infection in other countries is a febrile illness (generally presenting in two or more episodes) consisting of a temperature over 40°C, fatigue, headache, chills, myalgia, arthralgia and nausea. More severe presentation (meningoencephalitis) has been reported in immunocompromised patients. All cases reported in the scientific literature to date made a full recovery following treatment with antibiotics. Is Borrelia miyamotoi a concern to the public and if so what steps need to be taken to combat it? Although the public health significance of Borrelia miyamotoi is being debated, published evidence suggests that it can cause clinical disease in other countries, and therefore the possibility for clinical disease in the UK. To date, no human infections with Borrelia miyamotoi have been detected in the UK but further studies to investigate this are ongoing. There are no commercially available diagnostic tests that detect Borrelia miyamotoi infection. PHE undertakes diagnostic testing for Lyme disease and screens for other tick-borne diseases in patients with a strong clinical history of tick-associated illness. The number one thing that people can do to stay safe from ticks is to carry out a regular tick check during and after spending time outdoors; to safely remove ticks as soon as possible and clean the bite area with an antiseptic wipe or wash with soap and water. 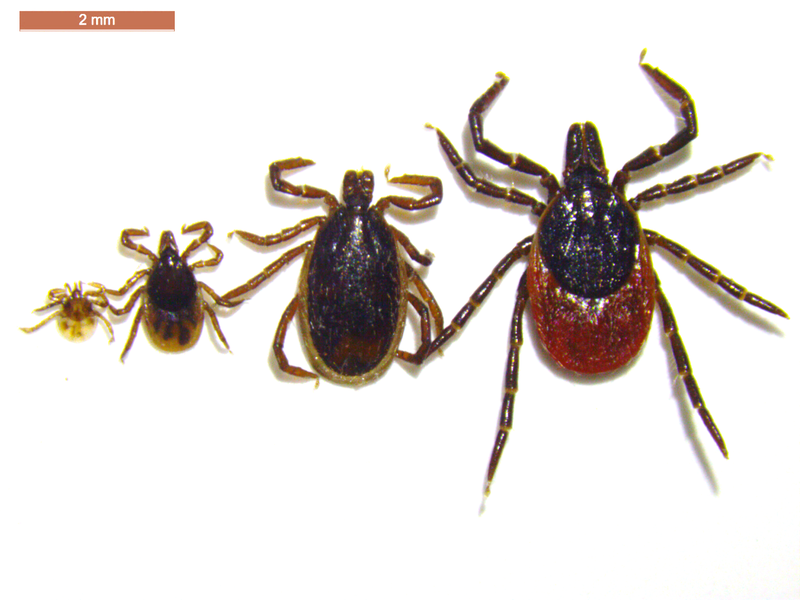 If a tick is removed as soon as possible, it will reduce the risk of being infected. It is recommended that tweezers or a tick tool be used to remove ticks, as other methods may lead to infection. Excellent instructions are available on the Lyme Disease Action website. Anyone who feels unwell in the days or weeks following a tick bite should consult their GP. How does PHE monitor for ticks? As part of our remit for protecting public health in England, we run a ‘Tick Recording Scheme’ which receives ticks found by members of the public, GPs, vets and those working with wildlife. This enables us to map tick species across the United Kingdom so we can establish a baseline for tick distribution and activity. We can then monitor how, when and perhaps why this changes. This information keeps us up-to-date with tick distribution and activity in the UK and helps us alert the public and GPs about tick awareness and tick-bite prevention. We are also working in a range of habitats to understand what determines tick hotspots, how we can manage tick populations and what determines the prevalence of Lyme bacteria in ticks.